I’m about two weeks into the experience of owning an amazing grill (which you can read about in this article), and I can’t get enough of trying out new grilled food recipes. 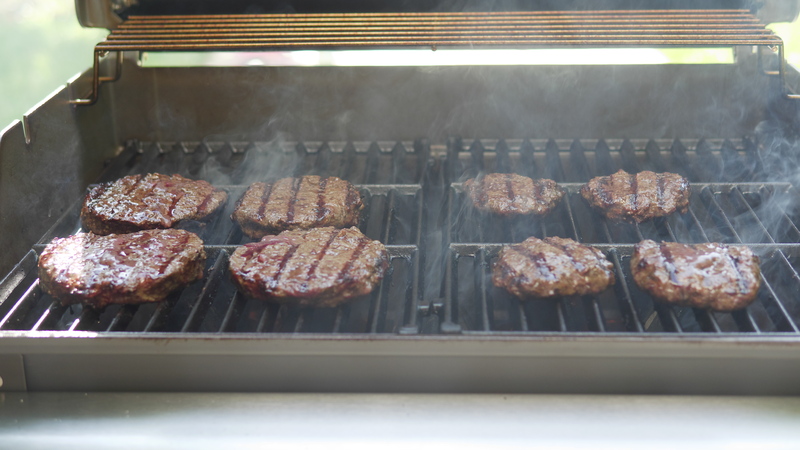 When Lone Mountain offered to send me a package of their Easy Grilling Wagyu Summer Set along with one extra pound of ground beef, I was excited to put the grill to use to write a review of their Wagyu beef. I discovered that a nice variety of meat can make a meal taste incredible. Check out what makes Wagyu beef a unique and flavorful part of a delicious summer meal. One of the best quality types of beef you can buy in the United States is Wagyu beef. This is because the meat is naturally predisposed to have dense marbling and tenderness. In the United States, you can buy different grades of Wagyu cattle. Unlike many other companies, Lone Mountain sells 100% Fullblood, which is the highest grade of Wagyu cattle you can buy in the United States. This variety of Wagyu beef is one of the rarest to find and the highest quality. Although Wagyu beef is densely marbled, it is one of the healthiest types of beef you can eat. It’s hard to find beef that has such a delicious, rich flavor, without having a high amount of saturated fat. The marbling is very heart healthy. With every bite, you are eating food that is rich in Omega-3 and Omega-6 fatty acids. You also get more good cholesterol and less bad cholesterol. I’m very health conscious about what I eat and what I feed my family, but I don’t like to sacrifice flavor. This beef was the perfect choice for me. The first meal utilized the two packages of sausage links. I bought nice Italian rolls, four peppers, two onions, and cream cheese. To ensure that the sausage was fully cooked, I boiled it for a few minutes before grilling it. Then, I grilled the sausages, vegetables, and the rolls. When everything was cooked well, I put cream cheese on the bun, put the sausages inside, and layered with peppers and onion. I had quite a bit of peppers left over, so next time I would only buy three peppers for this recipe. Putting the sausages on the grill gave each bite the most delicious flavor. I could tell that beef sausages have a much richer flavor than pork sausages have. Biting into the sandwich, I discovered that the hearty texture was my favorite part of this type of meat. 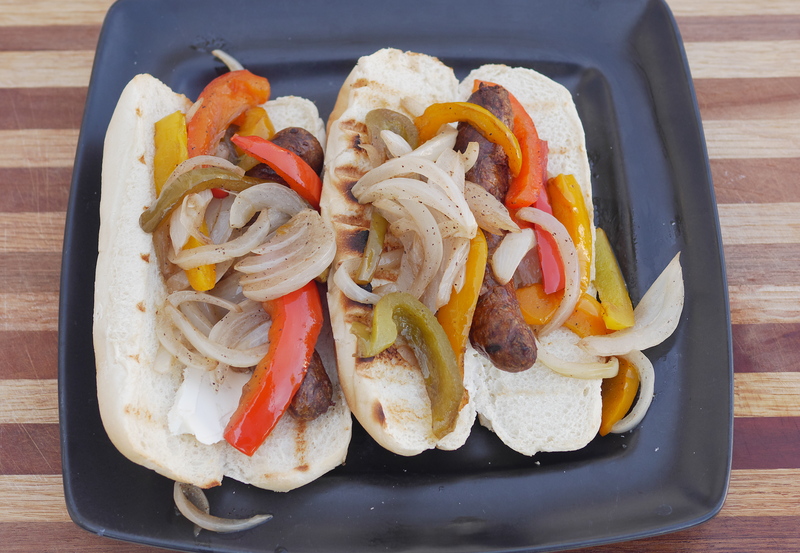 I loved the combination of the generous helping of peppers and onions with a lightly grilled bun and the flavorful sausage. There was just the right amount of savory taste and texture with a mildness that balanced out the meal. Each sausage was such a generous helping that there was plenty left over for the next day’s lunch. With the second meal, I went for classic burgers with the entire two pounds of beef. As part of the Easy Grilling Wagyu Summer Set, I received one pound of pre-formed burger patties. The company also sent me one pound of ground beef that I formed into small burger patties for the kids. In the picture below, you can see how the patties on the left are larger and formed perfectly. The patties on the right were what I made with the extra pound of beef. 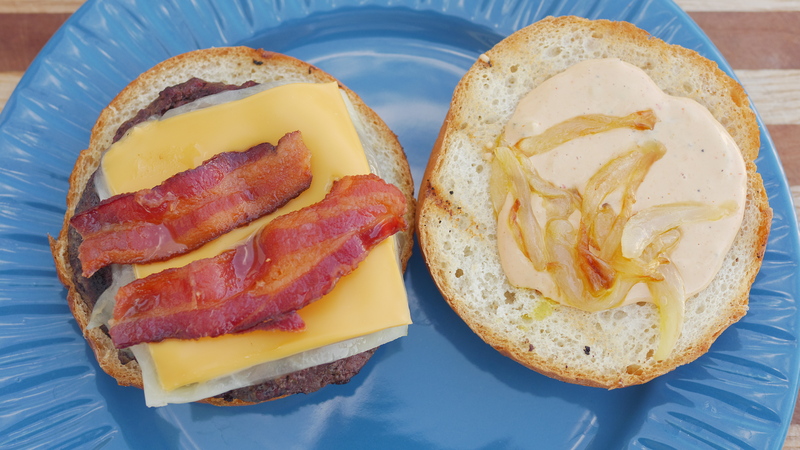 The pre-made burgers were the ideal size for the large Kaiser rolls, while the smaller burgers would have worked better with slider buns. Another option would have been to use the extra pound of beef to make meatballs or a different recipe. To flavor the burgers, I used Hepp’s Salt Co. hickory smoked salt that came in the box with the meat. The salt gave a delicious flavor to the burger. 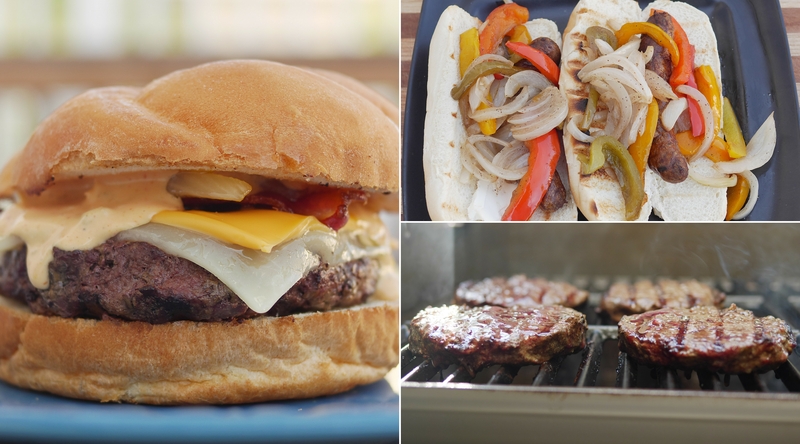 Each burger cooked with just the right texture on the grill. 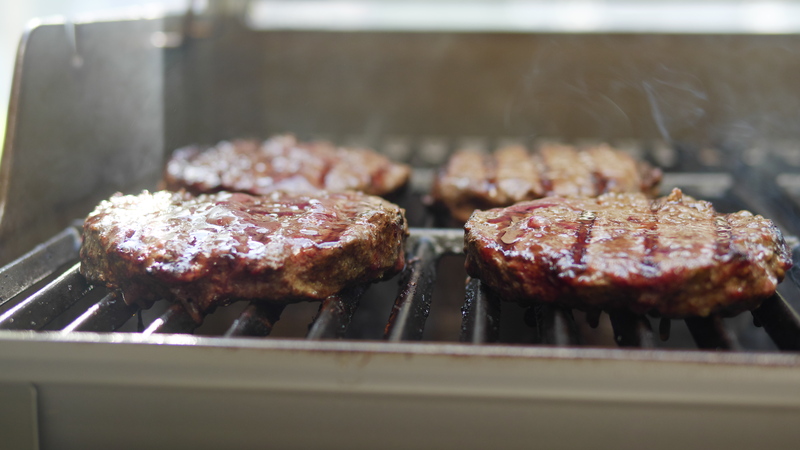 When I saw the grill marks, I felt my stomach grumble with hunger! There’s nothing better than a hearty hamburger on a hot summer day. Just smelling the burgers cook made me ravenous! I could barely wait to get the burgers off the grill and inside where I had prepared the toppings. I loved the ingredients in the meal. 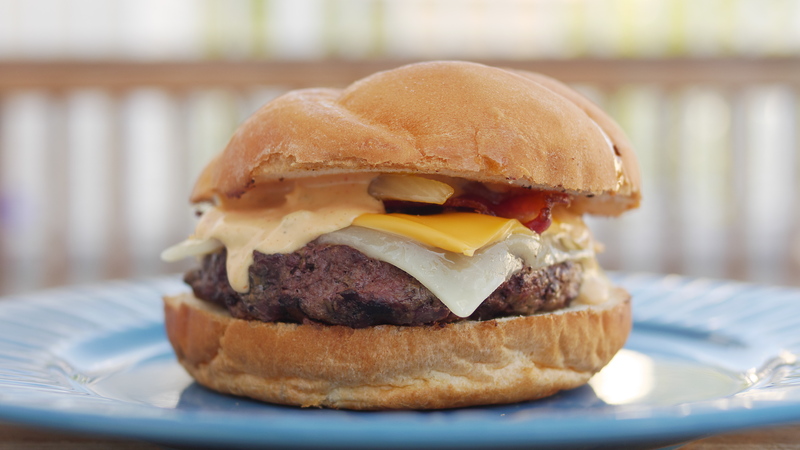 On top of the hearty, thick burger, I placed white cheddar and American cheese. I didn’t think one slice of cheese was enough for such a large Kaiser roll. The combination of cheeses ended up tasting really good. Although I had intended on only using the white cheddar, using extra cheese made the burger even more delicious than it already was. 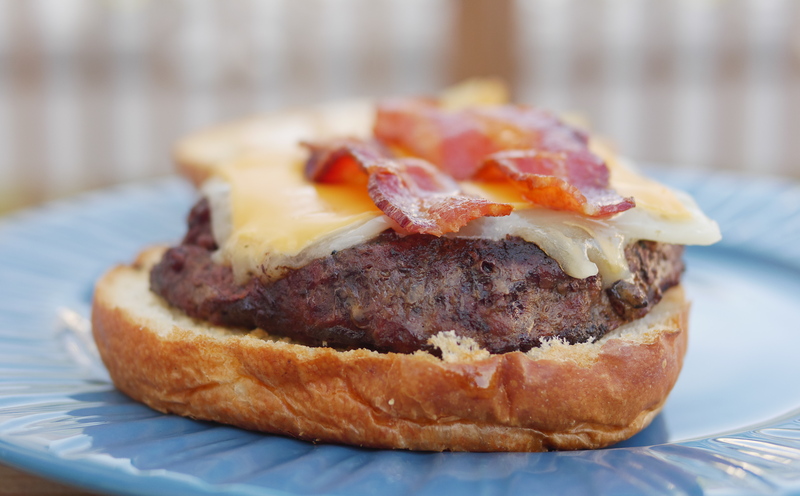 Another topping on the burger was bacon to give the meal some additional heartiness. Since Wagyu beef is such a nice, high quality type of beef, I went for a gourmet touch with a handmade special sauce and caramelized onions. The sauce was a mixture of mayonnaise, relish, and ketchup with a hint of mustard and a dash of vinegar. All of the toppings and the delicious bun helped make this one of the best burgers I’ve had, but the star was truly the Wagyu beef. I loved that the beef had a rich flavor, but it wasn’t overwhelmingly fatty. The texture was really nice, and it had a firmness that was offset nicely by the soft cheese and sauce. Although I’ve tried many types of burgers, this was by far one of my favorites. There were many pros of using Lone Mountain to order beef online. I loved getting rich, flavorful beef that had an incredible texture. Since Wagyu beef is difficult to find in the United States, having it delivered was a sensible option. The delivery process went smoothly. All of the beef arrived on time and at the right temperature. I am a huge fan of ordering food online to cut back on grocery shopping online, and I would love to try out the steaks the next time I order. If you were going to describe the best burger you’ve every had, how would you describe it? Share in the comments section! For more food and recipe ideas, follow Theresa’s Reviews on Facebook, Twitter, Pinterest, Instagram, Flipboard and Youtube. Yummie this makes me want to go grill out. The quality of your meat is really so important! I read this earlier and have decided this is the perfect summer cookout treat for a small dinner party. Sort of gourmet cook out. I may need to find an excuse to do this. Wow! That looks like a BBQ to me. I’ve never had Wagyu beef, but even your average Angus is delicious 😉 . I would love to try this! It looks so good! Looks delicious – Wagyu beef sounds and looks amazingly delicious! This looks perfect. I would love to make that for dinner! I am not a red meat eater, but my husband is and I always try to find him good quality cuts of beef and hamburger. Thanks for sharing! Never heard of this beef but it sounds really delicious. Guess I probably will have to check and see if I can try this out. Delicious preparations .. No one can resist these. They are perfect party food. I spent a lot of time in Japan and from what I understand wagu beef is the equivalent to their Kobe beef!!!! So yummy!!! I need to try this! That’s so cool you’ve traveled to Japan! I’d love to visit some day. What were you doing there? My mouth watered. That looks wonderful!!! This looks amazing!!!! I need to try!! YUM!! YUM! It’s still technically breakfast time but now all I want is a burger! I haven’t heard of this company before, looking it up now because it sounds so good! So awesome! I think I’ll fire up the grill this weekend! Thank you for the explanation and experimentation with the Wagyu beef! I’ve heard of it but didn’t know what it was. I pinned it so I’ll remember the company. You’re so right that beef in particular has such a variance in flavor based on quality and stuff so I look forward to trying your suggestions!